This is the perfect recipe for all of us coffee snobs out there that pair coffee with foods like it’s a fine wine. I made this honey lavender syrup that I was using for tea, and it’s super delicious, but being more of a coffee gal, I decided to whip up a latte and test this honey lavender syrup out. Holy moly! 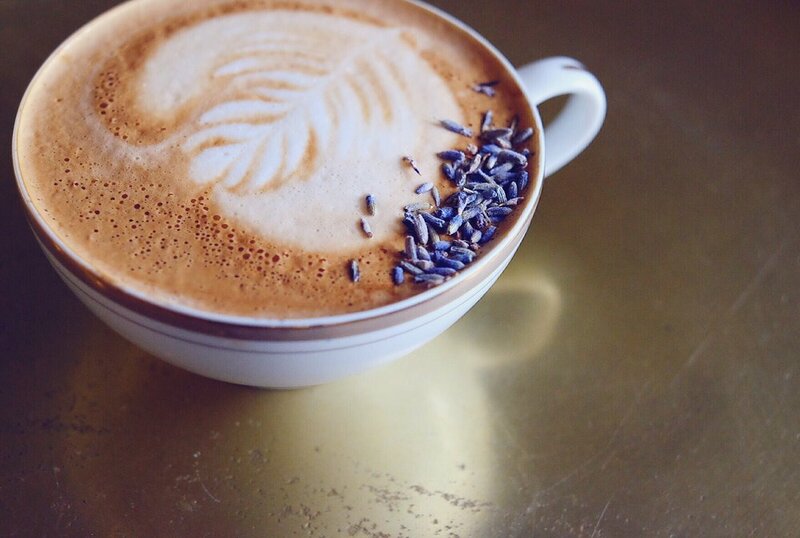 For some reason, the combination of milk, honey, and lavender really bring out the natural flavors of a strong cup of coffee. I, legit, felt like I was at a wine—I mean—coffee tasting! I was blown away when I tried this recipe. I really was skeptical about using honey as a sweetener for a latte, but this has totally changed my mind. Who knew that honey, lavender, and coffee could just scream fall and winter comfort. You must try this! The possibilities are endless with this honey lavender syrup. Don’t just stop at tea and lattes! You can add it to seltzer water for a refreshingly sweet drink that’s not loaded with sugar. Also, (and you can thank me later for this) you can use it to sweeten up your favorite homemade lemonade recipe. I might even try adding this to rice or some other savory dish like stir fry in the near future! Oh man! I just thought of that last one!